An exquisitely illustrated examination of the influence of fashion, as conceived and performed by Olivier Saillard and Tilda Swinton. Impossible Wardrobes documents three groundbreaking exhibitions poetically brought to life. Serving as part fashion object, part catalog, and part artist book, this work not only consists of the sole record of these critically acclaimed sold-out performances—that were by their very nature ephemeral artworks—but also serves as a unique survey of the Palais Galliera’s extraordinary collection of iconic clothing. This lavish three-book set presents the three performance pieces that spanned a period of three years. 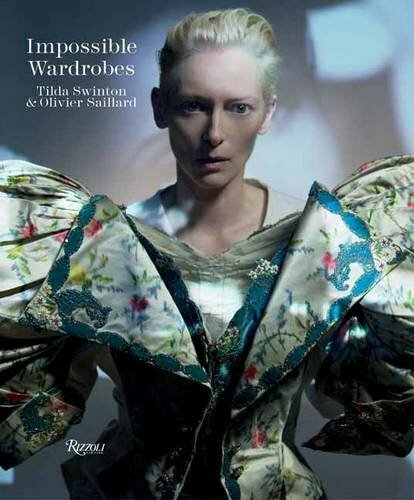 In The Impossible Wardrobe (2012), Swinton walks down a runway with a selection of historically and culturally significant garments from the past 200 years. In Eternity Dress (2013), a garment is tailor-made in front of a live audience. And in the third performance in the series, Cloakroom (2014), Swinton examines the special relationship between an item of clothing and its owner. A glorious ode to fashion, Impossible Wardrobes presents and elevates couture to a veritable art form.